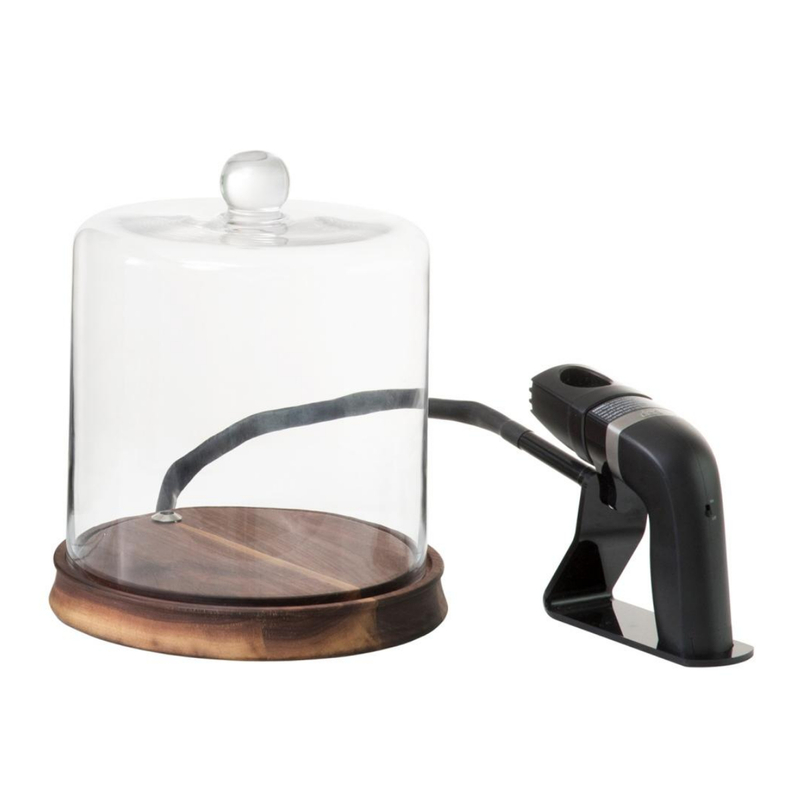 Infuse your favorite cocktail or appetizer with aromatic smoked flavor using this smoking cloche from CraftHouse by Fortessa. Made with a glass dome and a black walnut wood base, this beautiful cloche is sure to intrigue and impress your guests. 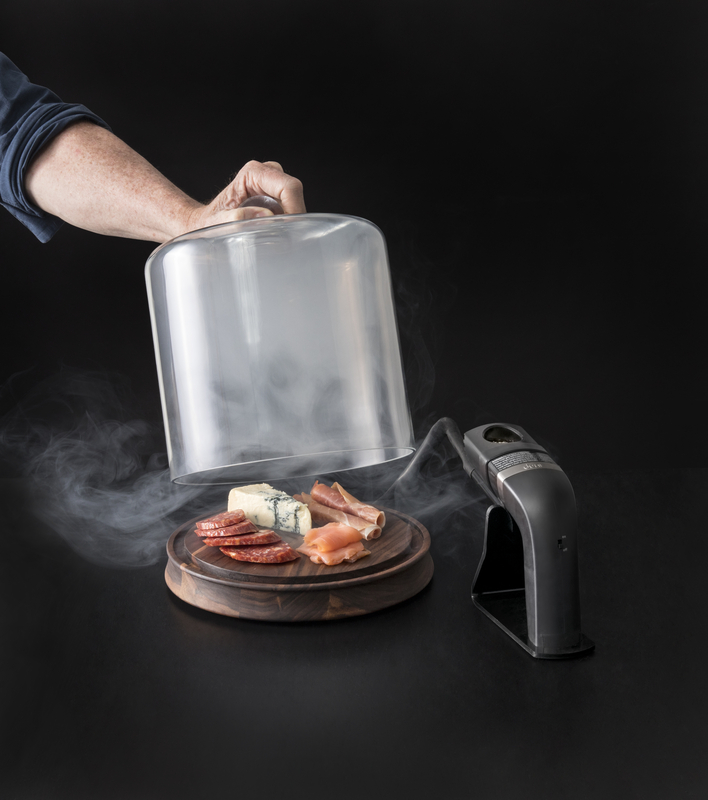 It includes a smoking cloche, hand held smoke infuser, and smoking chips -- all you need to add delicious flavor. 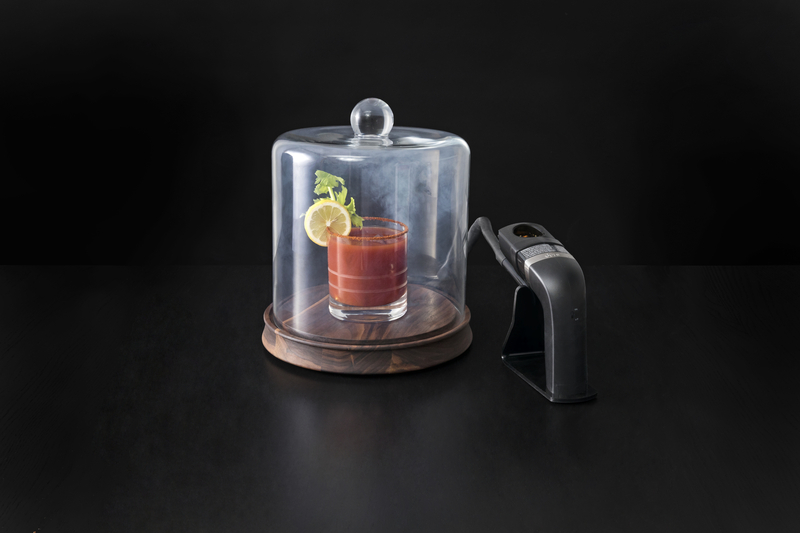 World class bartender Charles Joly paired with Fortessa to create tools, like this cloche, that can be used to create wonderful cocktails at home. Joly aims to enhance home mixology and believes in making classic cocktails with modern twists. This cloche is sure to be a hit at parties and gatherings when you add flavor not only to cocktails, but to various cheese, meats, and even hand made appetizers for an appreciated boost.